Are you ready for the biggest RV sales event of the year? 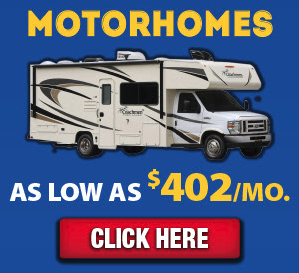 From Now through December 30th, Wilkins RV is offering amazing sales incentives that are too good to pass up! This once a year RV sales event will start 2018 off right with the Dream RV that you’ve been waiting for. Wait no longer! Visit our Wilkins RV Bath, Churchville or Victor, NY locations and choose from a huge selection of all the best RV brands and special holiday deals! As part of our special holiday year end sale, we are covering the first 2 months payments. That’s right! The first 2 months are on us! (up to $1000 total) In addition, don’t worry about your first payment until Spring 2018! With 90 days deferred payments you have time to get caught up on holiday expenses. When camping season begins, you’ll be ready with your new RV camper! Qualified buyers can enjoy financing rates as low as 3.99%! Apply for financing online safely and securely and be ready to make your final decision as soon as you fall in love with the perfect RV. 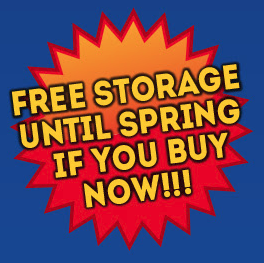 Plus, get Free Storage until Spring if you buy now! Your new RV will be safe and sound until you’re ready to start your camping adventure when the flowers start blooming in the spring. 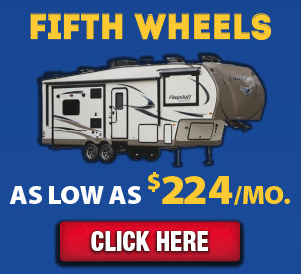 With low monthly payments on top brand new Travel Trailers, Fifth Wheels, Motorhomes and more, you can enjoy a lifetime of happy camping memories! 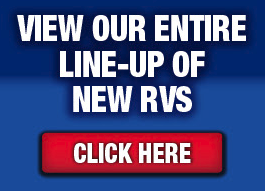 Check out or huge selection of New RVs for sale from all the best RV manufacturers. We also have a large inventory of quality pre-owned RVs to choose from as well. Don’t wait! 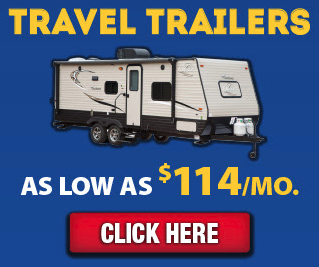 These special holiday RV sales incentives are available for a limited time Now until December 30th! Contact Us at Wilkins RV or visit us at one of our participating dealerships so you can take advantage of these once a year offers!